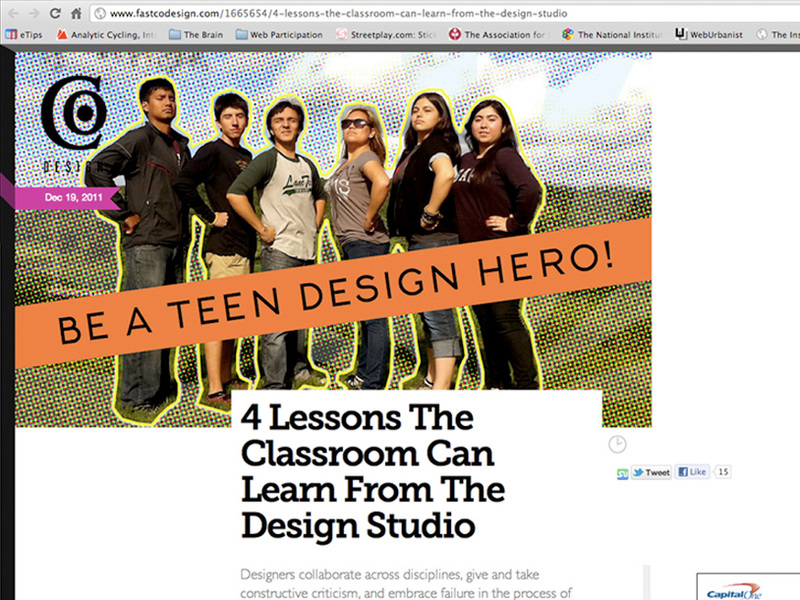 Public Workshop + Our #teendesignheroes Are Featured In Fast Company Magazine! The results? 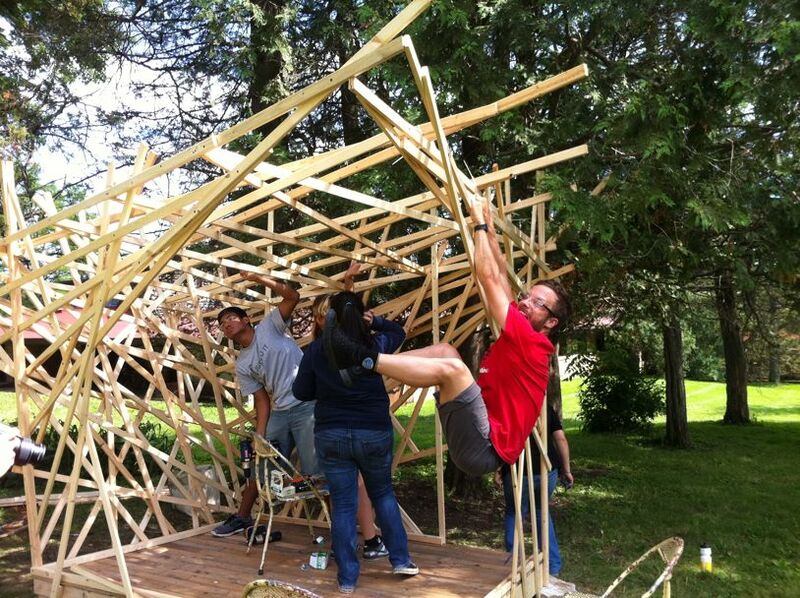 Well, in five short days, from scratch–including identifying the problem, user research and siting the resulting structure–the #teendesignheroes design and build structures like the one below. More importantly, this unique process and experience has a profoundly transformative impact on the everyone involved–#teendesignheroes, teachers, visitors and our generous hosts at Taliesin. If you haven’t already done so, make sure you read some of the #teendesignheroes‘ posts in which they report and reflect upon the experience. We assure you they are quite moving and worth the read. In particular, have a look at Diana’s post. Unlike most of this year’s #teendesignheroes, she hadn’t taken any architecture classes in high school–and was initially very tentative as a result–but our unique design process helped her accomplish amazing things. Click >>HERE<< to read more. Incredible thanks to the outstanding Katie Koch of Project Interaction who was one of our Teaching Fellows this year and designed the graphic treatment for great image that you see at the top of the Fast Company article; Daniel Splaingard who is a Rose Fellow and was our other remarkable Teaching Fellow; Victor Sidy and everyone at Taliesin, the Frank Lloyd Wright School of Architecture; and the folks at the Chicago Architecture Foundation—Jen Masengarb, Jean Linsner and Krisann Rehbein–who do incredible work and make this experience possible every year. Lastly, thanks to Melanie Kahl of Perkins + Will in Chicago for spending a day with us last summer and for writing the article. We don’t mind saying that you rock.